Protects from the rain and wind when caught in a storm. Works great as a barrier to increase body temperature as well. SKU: 5-0004. Category: Tools & Gear. Emergency poncho is made from lightweight polyethylene. 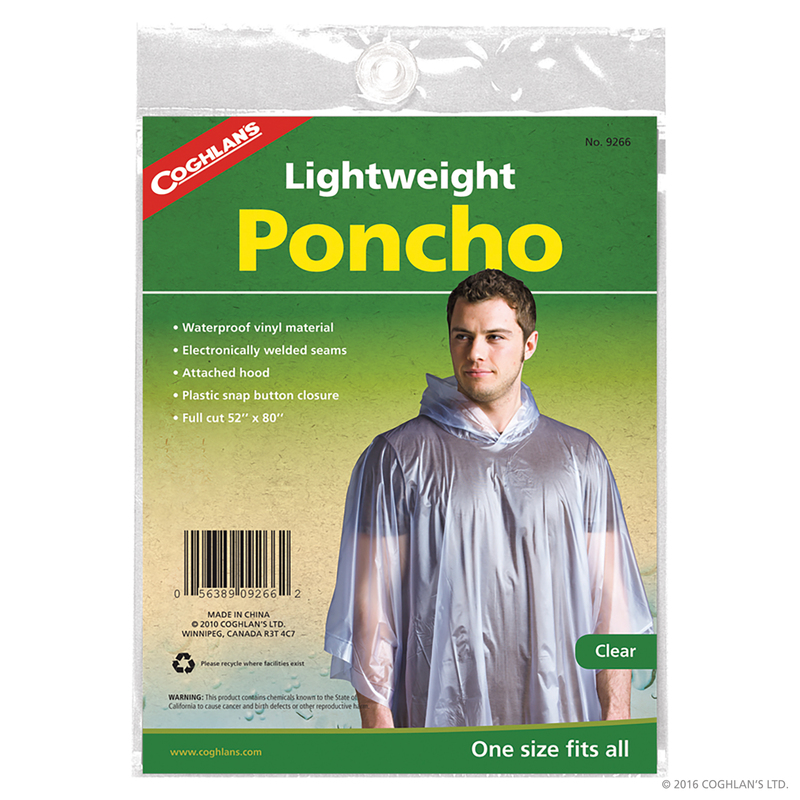 This clear plastic rain poncho includes an attached hood and is reusable.